Let’s face it: everyone likes to travel, but not everyone likes losing the values ​​of intimacy and comfort of his own alcove. What about a new way of traveling that combines these essential values ​​with environmental sustainability and authenticity? Follow us through the “Albergo Diffuso” phylosophy. Albergo diffuso translates literally as “scattered hotel.” The principle is that rooms, decorated in a consistently authentic and local style, are scattered throughout different buildings within the town but overseen by one manager. A traditional breakfast might be served at a local cafe or in the kitchen of one of the local houses, or delivered to your room. “Reconverting an existing room into a hotel room is far more sustainable than building a new hotel”. This is the motto. These are the Diffused Hotels (Albeghi diffusi), “a little ‘ home, a little ‘ hotel ‘, as they are called by their founder Giancarlo Dall’Ara. A “product” totally Made in Italy that has sparked interest around the world , winning international awards for tourism. It was also presented as a model of success from some of the world’s major newspapers ( to name two : National Geographic , New York Times). Careful, locally driven transformation distinguishes the 53 properties that belong to the Alberghi Diffusi Association. The idea, a bit weird and visionary, is unexpectedly flowed like healing water after a tragedy: the terrible earthquake that struck the Friuli in the 70s. The very need was to rebuild all over again, because many parts of the region had been hit hard by the natural disaster. The first project that defined more clearly the contours of the Hotel Widespread was that of St. Leo , in 1989, which saw the creation of a structure unit developed horizontally rather than vertically. A project designed, created and built by Giancarlo Dall’Ara , a University Professor with a thousand of proposals, one for all the small Italian museums. This Hotels are for people who want to travel fleeing the city for a more livable place. To get out of the ordinary, the usual. Hotel widespread means to become part of the host community, to really experience the place where you are staying and live it authentically. Yes, because these structures are bringing back to its former glory portions of old fascinating buildings. The result is an incredible sleep embedded in brick, in beds of solid wrought iron, admiring a fresco flamboyant at your bedside. Retain as many authentically local touches as possible for a strong sense of place. We offer you an incredible journey through 10 popular Italian Diffused hotels, selected for their eco-sustainability, to discover authentic corners of Italy, to make you feel at home. 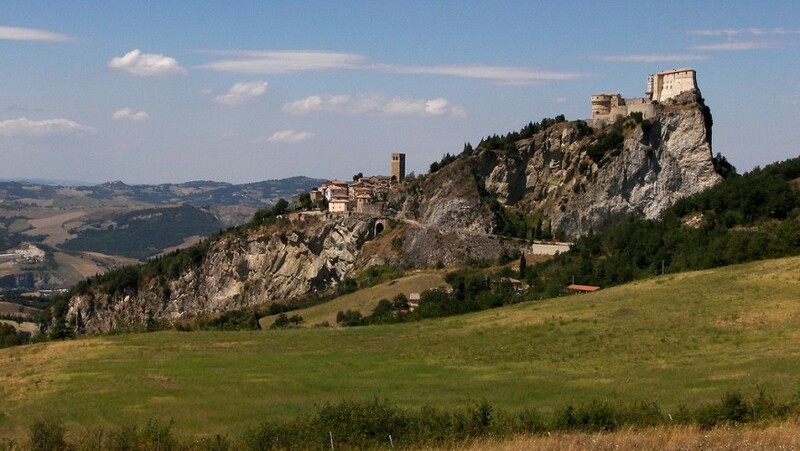 Sauris, province of Udine. 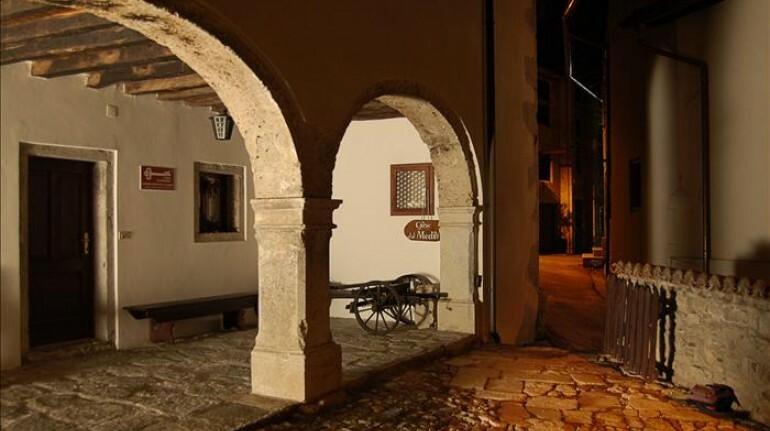 This is an ancient village in the heart of the Dolomites Friuli. 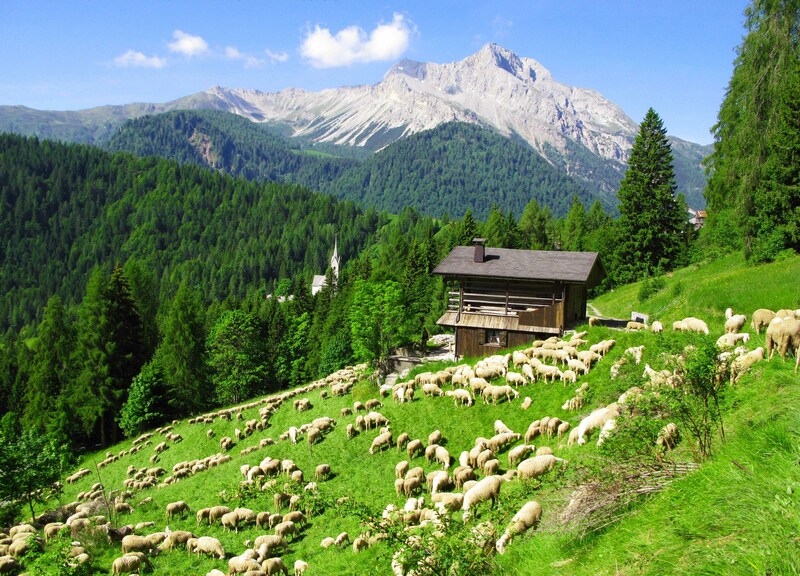 Who lives in Sauris knows that the local traditions and the ancient heritage has been preserved only because of its characteristic protected and isolated location . Only 80 years ago it was built the first road linking the Carnia, until then, arriving here was big problem. Anyone who decides to visit these lands, can be called unique and sophisticated traveler (in research, mind, not in form): the best way to fully experience the spirit of Carnia is just staying at this charming hotel. This was one of the first “hotels disseminated” to take hold after the terrible earthquake of the 70s : the credit for the success of this innovative project goes to all its inhabitants , who with great strength and entrepreneurial skills have been able to rebuild this wonderful place . With the construction of the Hotel Spread it was possible the recovery of stables, barns and homes, turned into accommodation units. In the eyes of those who visit opened up the prospective of a strong Alpine cordiality and hospitality: larch shingle roofs , wooden balconies , stone walls , the technique of ” block bau “. Even the heating is ecological: wood stoves or fireplaces and natural fuel are the masters. The real treat is the breakfast: served every morning in wicker baskets, left by the managers at the door of each house, consists mainly in typical products, strictly Km0. The structure becomes a real opportunity to catalyze social and cultural events: every year there are cooking classes with chef Elena Cossutta Treviso. In this way you create an hospitality context, sharing memories in a unique and timeless landscape . Castles, Parks and abbeys, wine and ancient villages that overlook the lush hill curious, and even kitchens, towers, fortresses, we are in Umbria the land of hidden treasures. 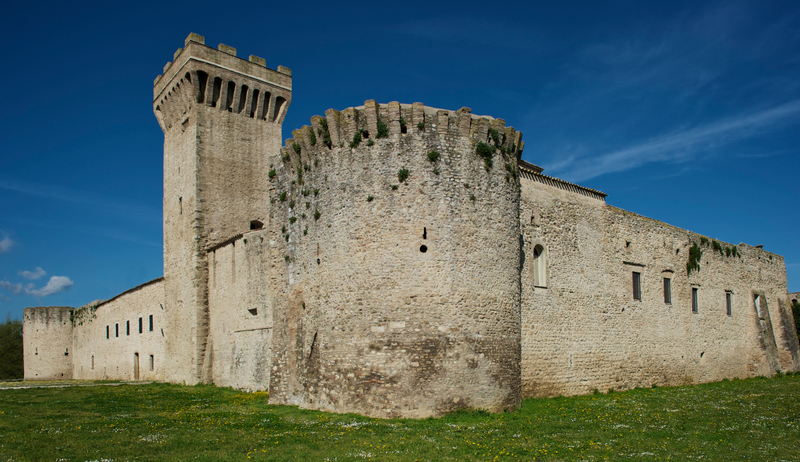 We are in Castel San Giovanni, just one of hundreds of historic villages in Italy in disrepair. In this wonderful complex of the third century, the accommodation has been created entirely on the ancient buildings of the fortress: the bank , the old town, the oven and the watchtower . This house is really deserves our eco-medal since it is totally eco-friendly: it has fully recovered the materials of typical local history, preserving the atmosphere of the past. 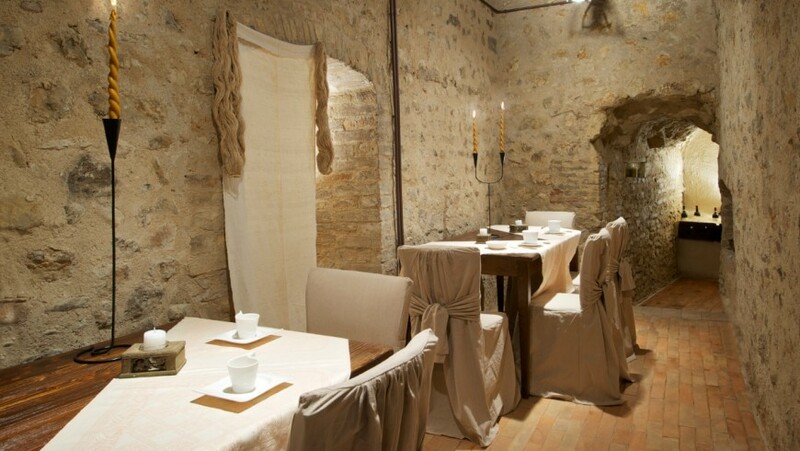 Seven rooms, each with the name of a natural fiber: Hemp , Silk , Linen, Jute, Cotton, Wool and Cashmere. Always in strict respect of the environment, the hotel restaurant offers traditional seasonal dishes, using local production and strictly km0 . The real curiosity are locals and their admirable reconstruction with frescoes, antique fireplaces and caves of connection between different environments; everything is combined with minimal accessories and more modern possibilities of comfort. To enjoy the ancient time without losing a moment of modern facilities. 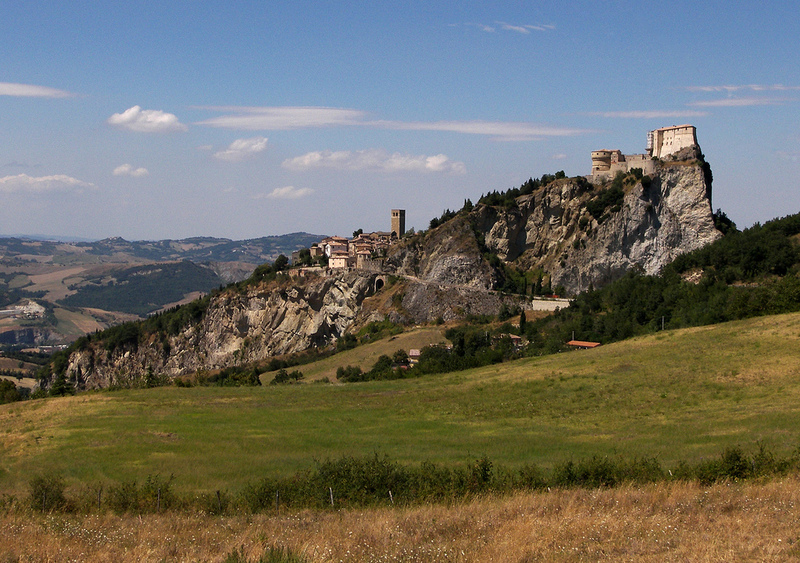 We are still in Umbria, Gualdo Tadino, between the Apennine Mountains of Assisi and Perugia. 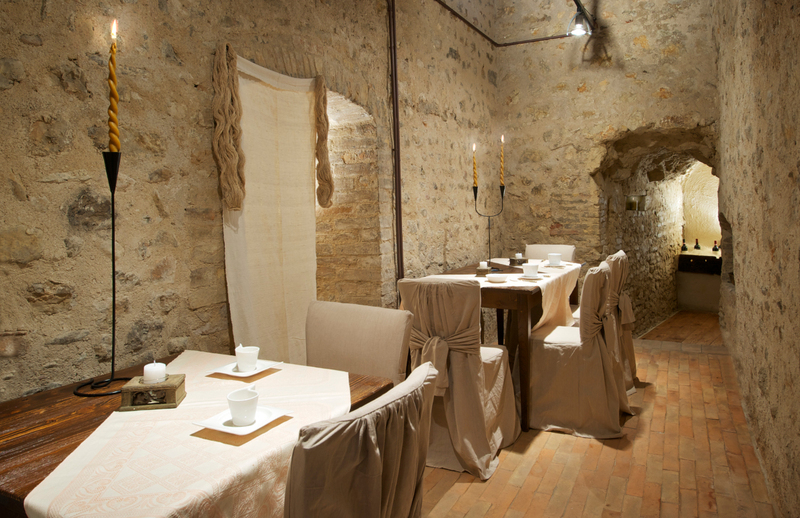 Here lies an old monastery, where stone and beams preserve the ancient secrets of the past: it is the Diffuse Hotel Borgo Sant’Angelo. Ancient oasis, made up of ten rooms; each one tells a specific story with a precise common denominator: wood and stone. Here you will be welcomed in a circular dance, discovering the craft of italian poetry. In the kitchen waiting for you an endless plank, full of km0 products. The bar, will welcome you with wine and hard liquor; the History Room, which features a rich catalog of books to browse and sniff curiously. Relax can also be found in the garden, a former kitchen garden of the monks, who hides in every corner a memory made ​​of sweat and faith. Another opportunity to discover the very heart of that little Italian region enclosed by lush valleys and works of art of inestimable value. The geometries strong and bitter are those of the Carnic Dolomites, the frame is typically alpine, the province is Udine, but the flap remote land that we present do not struggle with the mountains of Friuli; we are in an open sunny space, surrounded by the vastness of nature: welocome to Lauco. 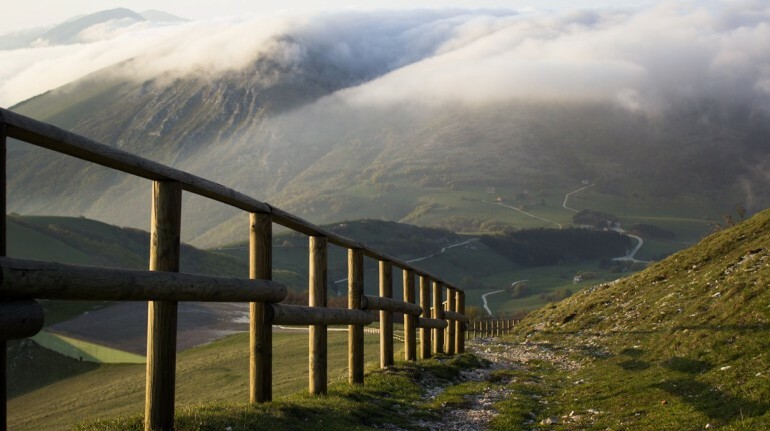 Characterized by a different, fascinating environment, the history of Lauco dates back to the Celtic Age and its central position permits to dominate the surrounding valleys. 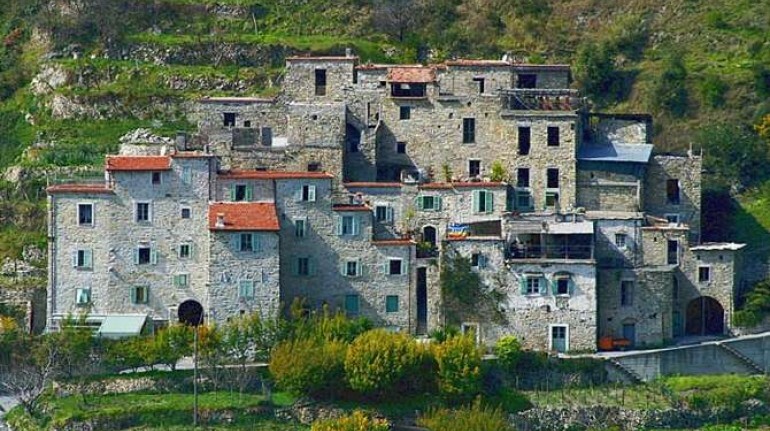 There are seven different villages creating the Lauco’s Plateau: Chiassis, Trava, Avaglio, Lauco, Allegnidis, Vinaio e Buttea, all of them characterized by ancient farmhouses and stone stables made with the typical wooden roofs and tuff arches. Here, as in the rest of Carnia, the main important thing about tourism is sustainability, so Lauco proudly adheres to the project, started more than 30 years ago, to restore the architectural heritage for the tourism hospitality. In this way they can give a new chance to all those small villages doomed to decline. Thanks again to these magnific projects, today tourists can live an authentic experience as real Lauco inhabitants, in one of its traditional buildings. They are all located in the heart of the seven different villages, to foster the meeting with the locals. Elegant details in cotto tile, stone walls, wooden furnitures and panoramic terraces dominating the surrounding valleys. Some of these buildings are truly antiques, as the In Lenòs House, a wonderful and large villa dated back to the 1700 and restored maintaining the original architectural characteristics. 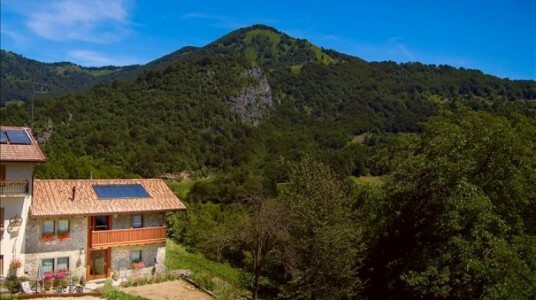 This is also the perfect base for nature, trekking and climbing lovers. In fact, nearby there is the Forra della Vinadia, a 200 metres-deep canyon, originated by the millennial erosion of the Vinadia river. It is one the most important and precious natural monuments of the whole Carnia, a gorgeous witness of the ancient stories of these boundary lands. Amalfi Coast dominates awful the sea. The view is similar to an old postcar . The view of the Tyrrhenian could break your breath. A travel proposal far away from traditional formulas. The Hotel has recovered the remains ruins of ancient and wise memory, with a careful and meticulous work of restoration and preservation . Here the real wealth is given by the surroundings, authentic and dynamic chests of images for the travelers . 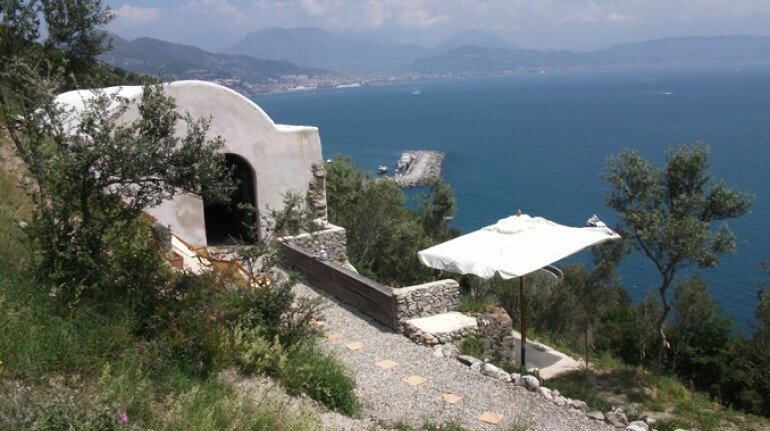 With this kind of valorisation of rural settlements you are unable, even in the sophisticated Amalfi to carry on an idea of ​​different tourism, different, but equally refined. Far from the seaports of large yachts, away from luxury, there is a different Liguria, intact. In the nearby of Ventimiglia . The Hotel Torri Superiore is a perfect example of sustainable recovery of a medieval village in the Ligurian hinterland. Torri Superiore is a jewel of popular architecture that has found new life thanks to a group of young volunteers who turned it into a permanent cultural center and tourist reception. Here you can enjoy a few days of relax at the foot of the Maritime Alps, contemplating a green and bue sea, never conventional, with colorful reflections. Here you can listen to the lapping of the waves and you can also enjoy the ancestral structure of stone, arches, vaults and beams. Here you can taste the typical Mediterranean Km0 products: meat, fish, cheese and fresh fruit. The atmosphere in Torri Superiore is simple and informal, and you can also enjoy inland and stop at the point where the stream form clear water pools for bathing. Experts walkers can follow the trail that connects Italy with France, enjoying paths and trails that cut through the hills and fall into the sea. In the land of the sea. Alps, snow and tasty cheese. 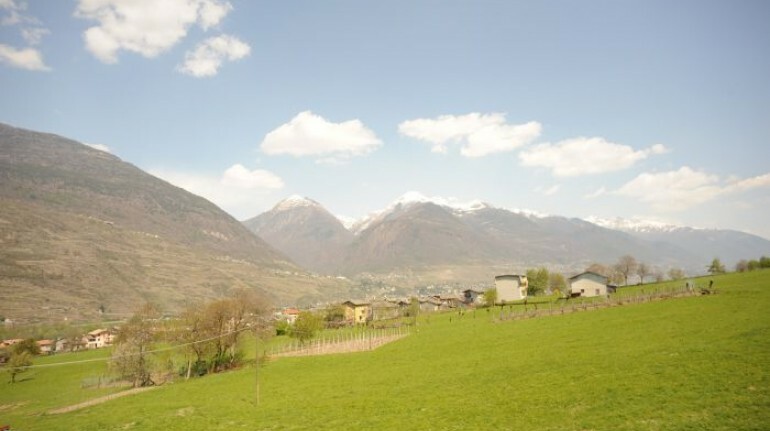 We are in a farmhouse that is located in Albosaggia, near Sondrio, 350 meters high, perfect crossroads for excursions in the Park Valtellina Orobie. Founded as a Farm this Hotel has opened his arms to project diffused hotel, managing a lot of apartments set in the quaint village . The narrow streets climb up on rugged peaks and ruthless; nature becomes majestic, imposing, mother. Carnia, a knot of feelings that ” THE GROP ” ( ” Node ” in Friulian ) translates into the new form of receptivity of the “Alberghi Diffusi”. The Grop combines three different municipalities in a single global viallage: Ovaro , Raveo and Prato Carnico. The accomodation is lovely, the climate too, even when cold, with spectacular clear sky. Here you can enjoy pure harmony: a balance between green and blue in the purity of air that still smells of hay and wood; immersed in the cycle of the seasons , with blooming flowers and leaves typical of the fall. What about enjoying traditional dishes? Excellent and abundant. You can also rediscover moments of simple and direct religion in charming little churches, hidden in the thick of the woods with a mystical silence. One way to find the ancient history of Italy. Carnia is one of those places that seems to be beautiful in every season of the year. Home of winter sports, but especially perfect place for still untouched nature lovers, Carnia is not well known as many other areas of the Dolomites. 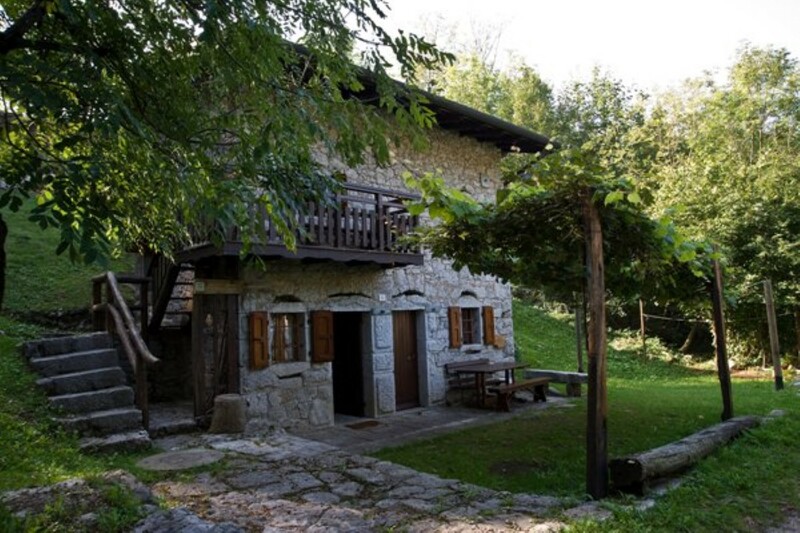 The perfect example of harmony with landscape is the small village Sauris, the first Albergo Diffuso we have presented, but it is certainly not the only one in his area. 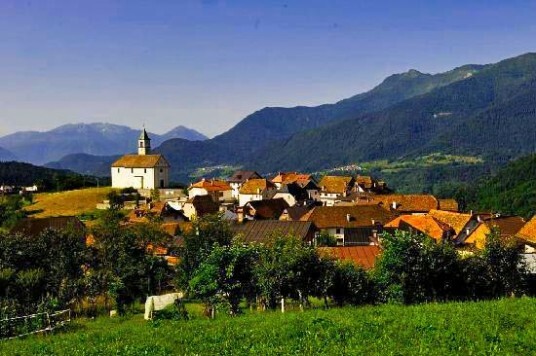 Friuli Venezia Giulia is the first region in Italy for the number of Diffused Hotels, born to revitalize an area affected by depopulation after the disaster caused by the earthquake of 1976. This hotel history began in ’78 , when some experts at the ETH Zurich came to study the situation on the ground and gave birth to the first conversion project planning. In 2000 the structure was opened . The philosophy is similar to Sauris one, recover old buildings located in different fractions: in a green valley , where peace never seem to have met the frenzy and stress life typical of today’s society . There are 23 rooms scattered among the villages, antique rustic dwellings, farmsteads, stone barns renovated using antique furniture from the family , or more modern and simply hause Each accomodation fully embodies the identity of the mountains of this region . True “symbol” of hospitality. This structure has a reception located in the old dairy, just to give a continuity with tradition and territory. Even the dining room, where guests can enjoy Carnian gastronomy, will delight your eyes with tasty dishes. We would like to close this brief but intense tour with another pearl of Friuli, emblem of the philosophy of “Albergo Diffuso” hospitality. Beautyful houses perched on the mountains, watching the majesty of the Alps; both in winter and summer these homes can instill peace and unexpected quiet. The pace of life slows down. A rare pearl of wisdom to live in contact with nature. Great breakfasts, awesome landscape. The structures are typical, farmhouses in stone and wood. Barns, roofs and fireplaces to cool off from the cold. A lot of snow on the mountains and the possibility of tasting good cheese willa carry you through a Grimm’s fairy tale. 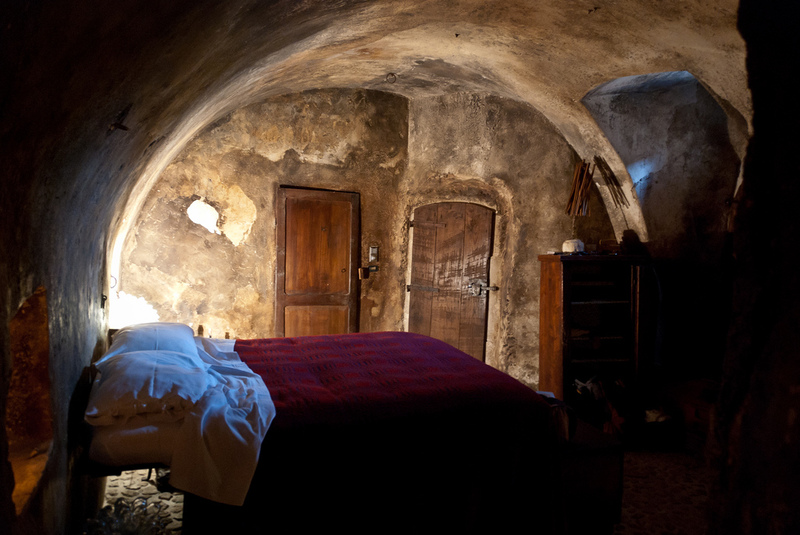 Albergo Diffuso phylosophy is certainly an authentic and sustainable way to visit forgotten Italy. It is also a real opportunity for redistribution of income, for giving employment to hundreds of young people, to enhance the most beautiful and unspoken reality of our country. Why don’t you really think about it? And …what kind of village do you want to visit? Angela was born in Parma, she has a Law degree, a job as chief editor and an MBA running out. Then, three compulsive passions: writing , painting and enjoying her life with animals. In 2004 she started the very first collaboration with a blog, after that a cascade of collaborations with several sites and publications (PAIS, Total Free Magazine etc.). Every day she tries to make up new stories: this is her calling that she keeps on chasing on http://mystreamoffecklessness.wordpress.com/ Nature is her compass, green, sunsets that ignite the horizon, all filtered by the attentive ears of a horse, his tireless companion. Green Travel Blog is now a window on a world of beauty and silence, to think, write and talk about ecology, sustainability and animal rights. A convinced animal rights activist, frank and sincere. Just like people who really live with animals. 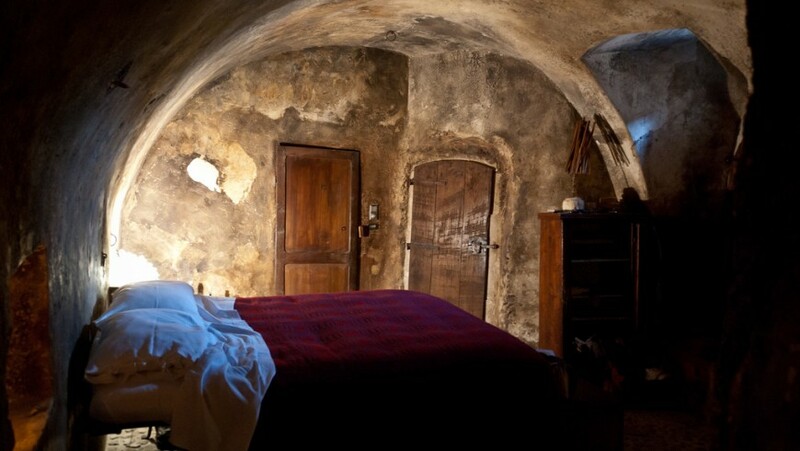 This entry was posted in green hotels and tagged abandoned villages, alberghi diffusi, alberghidiffusi, castels. Bookmark the permalink.